The Verge has managed to get some details about what will be announced next week by Amazon. Earlier today I wrote about the Kindle Fire hardware that will likely be announced. 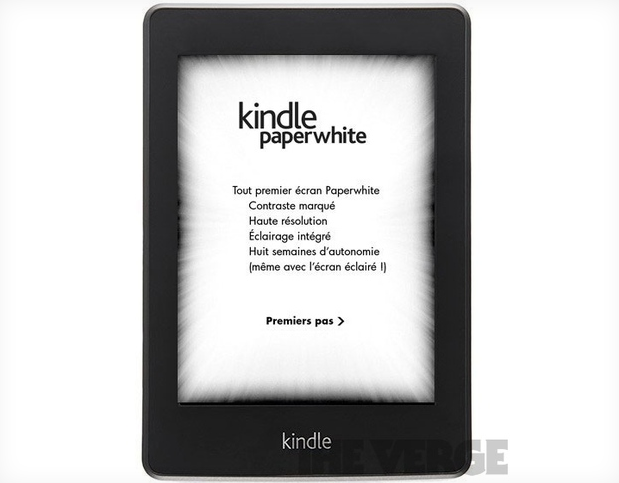 The Verge also now has information on what is called the “Kindle paperwhite”. The Kindle paperwhite is believed to be one of the next generation Kindles being announced next week. The difference with this Kindle and others is that it has a backlit display making reading at night possible without extra lighting in the room. The device appears to be a refresh of the Kindle Touch although it has lost a button below the screen. The screen also, I assume, has a white effect rather than the typical grey colouring found on other eInk devices. The name of it kind of suggests that, along with the nice white background behind the text. Although I initially expected to read that the battery life would be halved or even quartered, I see now that battery life could be as much as 8 weeks per charge even when using the backlight. Although paperwhite strongly suggests that the screen is now white like paper, it could be referring to the backlight. The Verge also comments that the paperwhite name might not be what it is referred to as. If the screen is the same as the current generation then from what I have seen, I still think it is an impressive quality screen, so any changes will be an improvement on something that is already good. At this point, pricing is unknown although it will all be revealed, hopefully, on September 6.